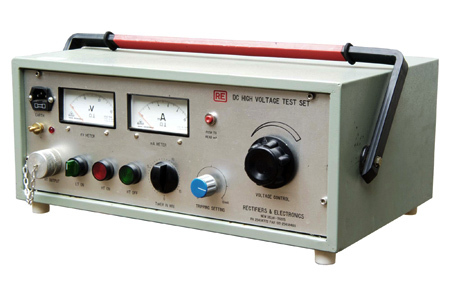 Portable DC High Voltage Test Set is used for testing underground cable, generators, switchgear etc. for understanding the condition of current leakage / insulation condition at any given point. 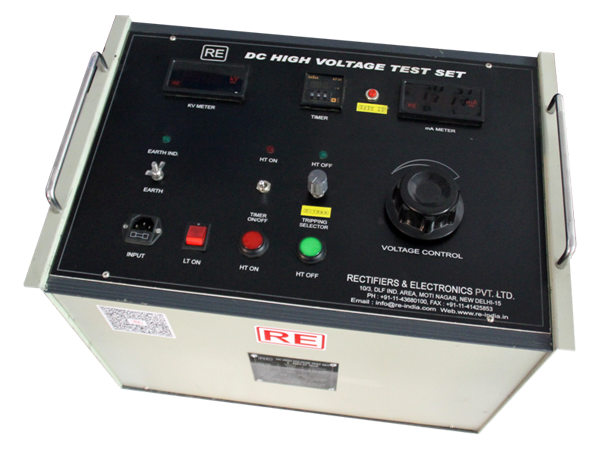 These are extremely light weight units designed for field operation (Substation, Power Projects, Remote sites etc.). 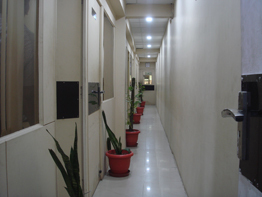 The units are delivered in custom made carry boxes to endure rough and rugged transportation. 5 meter long shielded output cable with first sized clamp. 5 meter long input AC flexible chord with plug. Discharge Rod with 5 meter Long Lead with Clamp. Housings of the set accommodate in itself HT and main lead and other accessories. Covers for high voltage male and female sockets. 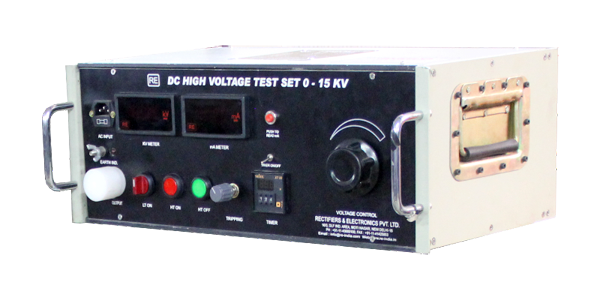 4 Control Type 1- The unit can be manual control for voltage variation and push button controlled for HT actuation. 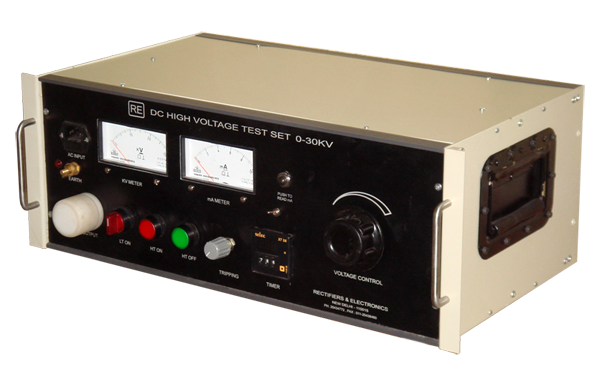 11 Meter mA meter and voltmeter are provided on HT side. The meters are fully protected against surges and spikes. 13 Surges and Spikes Protection During the testing surges or spikes are often generated due to short circuit. The equipment is fully protected againt these.